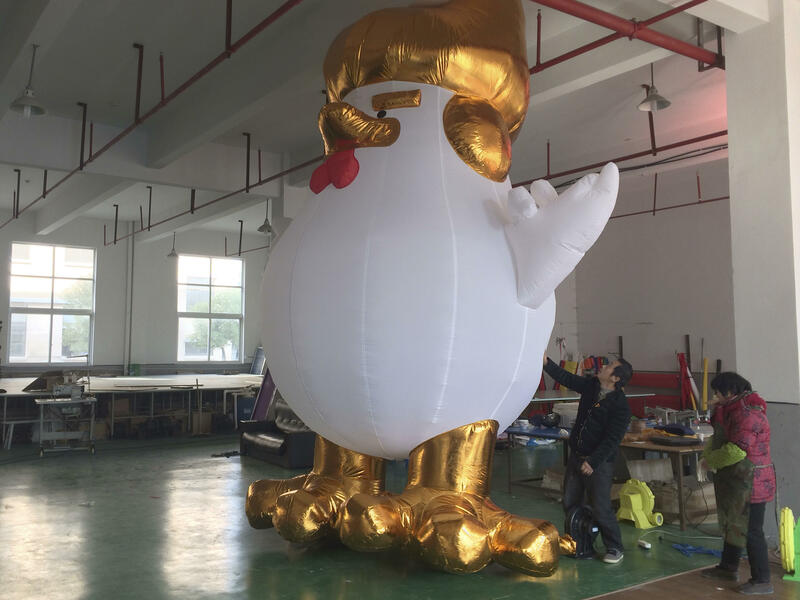 JIAXING, China -- A Chinese factory has been doing a brisk business selling giant inflatable roosters, some as tall as 16 feet, based on a design widely perceived in China to resemble President-elect Donald Trump. Wei Qing, owner of the factory in Jiaxing, said they have sold around 100 of the roosters, in sizes from 7 to 16 feet tall, to shopping centers in mainland China and Taiwan. Wei said some customers think the rooster resembles Mr. Trump but that the manufacturers had no say over that. The social media sensation comes as China prepares to celebrate the lunar Year of the Rooster starting Jan. 28, the country’s most important traditional holiday. “I think this chicken is really special, so I decided to manufacture it,” Wei added.